“The Harbour Master is responsible for enforcing the regulations (bye-laws) of a harbour, in order to ensure the safety of navigation, the security of the harbour and the correct operation of the port facilities. 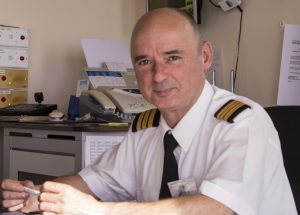 He is responsible for issuing local safety information known as Notices to Mariners. We oversee the maintenance and provision of navigational aids and mobile apps within the port area and coordinate responses to emergencies. We work with the local fishing community to implement berthing plans, to ensure the safest, most efficient use of the Harbour space. We record the usage of the berths, and bill the users, to generate an income for the County Council. This money can be used to finance the maintenance, staffing and improvement of the Harbour. We provide water, electricity, safe access, CCTV security, waste disposal, and lighting to the Harbour users. We have our own emergency generator. For the sailing community, we offer water, fuel, electricity, showers, toilets, laundry facilities, security, safe access, wifi, bike rental, international catering waste disposal, and local knowledge of pilotage, tides and weather. With a staff of five for County Wexford, we provide safety, maintenance and cleaning services to eleven piers and harbours and two ‘Blue Flag’ marinas. We manage the oil pollution plan for the county and provide cleaned and safe access to 11 slipways. We also provide a ‘tourist’ function, to encourage the marina visitors to spend more time in the area and to return.” …and return they do. Speaking to a member of the sailing community recently, he told me he loves coming to Kilmore Quay as it is “such a welcoming harbour to arrive in”. A testament to the team that work there. Described on Blue Flag Ireland’s website as ” a model to all local authorities on how to develop such a resource”, Kilmore Quay Marina was one of the first marinas in Ireland to receive the coveted award and is still one of a select few to receive the award annually. 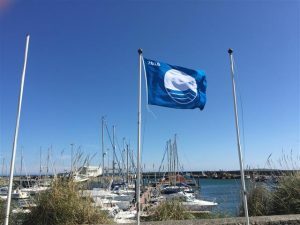 The marina has been awarded a Blue Flag each year since 1998. Ensuring the facility complies with a specific set of criteria relating to water quality, information provision, environmental education and safety set down by this internationally recognised award, Eoin and his team excel at keeping the marina and harbour ship-shape and a pleasure for everyone to use. 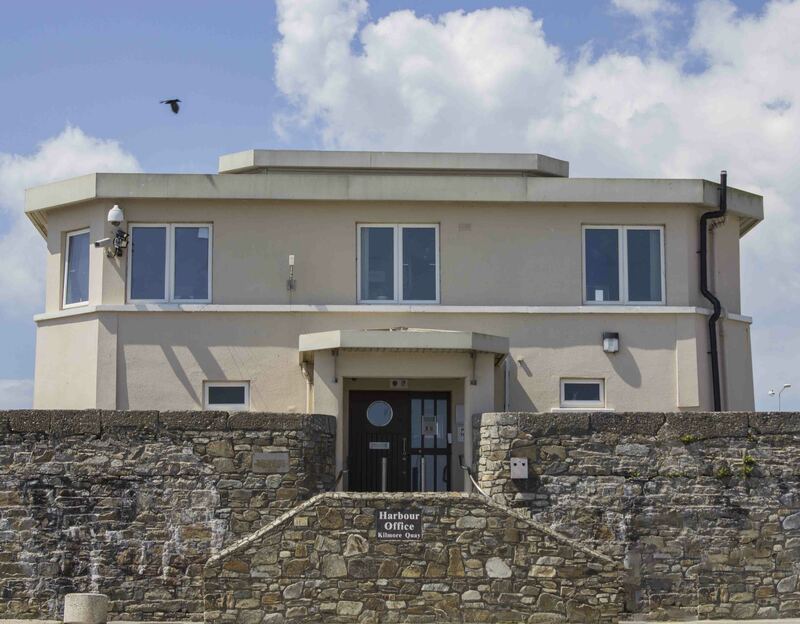 The Harbour Office stands on the west pier, a modern building with toilet, shower and laundry facilities as well as the office facilities required to run such a busy port.